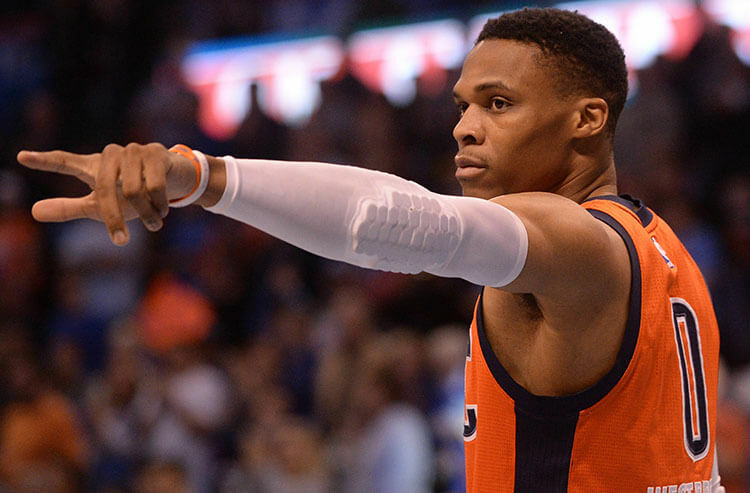 Elite rebounding guards like Russell Westbrook, Rajon Rondo, James Harden and others can give you an advantage in tournament play, since they're also superb at racking up numbers in their usual categories. No other daily fantasy sport provides more minute-by-minute thrills than basketball. With so many categories factored into fantasy scoring, the standings of any tournament or cash-game competition can change in an instant - and in most cases, champions are decided in the final minute of the final game on the schedule. 1. It's all about 5x (or 6x): As a general rule, you should look to select players whose point total will come in at least five times higher than the first two digits of their salary. For example, a $6,000 player should be worth no less than 30 points, while you should expect at least 35 points from a player valued at $7,000. To have a chance at profiting in large-field tournaments, you should increase that total to 6x - so an $8,000 player will need to return at least 48 points in order to "return value". 2. Favor floor over ceiling in cash games. You will often be tempted to take risks in daily fantasy, and that's fine - but when it comes to converting your cash-game rosters, the less risk, the better. Players with high floors will provide you with a nice bank of points, which comes in handy when you don't necessarily have to finish first in order to increase your bankroll. Ceiling still matters in this format, but not at a level of risk that could potentially put your payday in jeopardy. 3. Do-it-all guards are tournament winners. 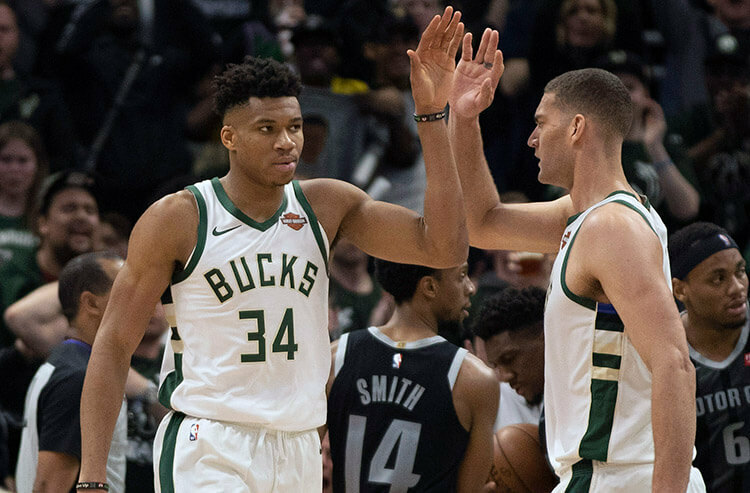 Certain stats are expected out of every NBA position - but some players are proficient at racking up fantasy points in other categories, particularly in the backcourt. 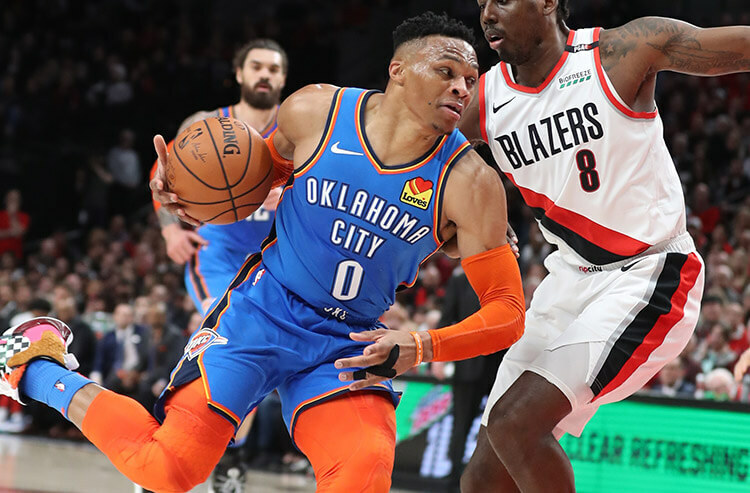 Elite rebounding guards like Russell Westbrook, Rajon Rondo, James Harden and others can give you an advantage in tournament play, since they're also superb at racking up numbers in their usual categories, as well. Target these guards above all others in GPPs - unless, of course, the salary is just too high. 4. Don't count on stocks. While some scoring categories are easy to predict - barring foul trouble, most elite rebounders will grab between eight and 14 rebounds in a game - others are not. And it isn't wise to chase them, or to go into a contest expecting they'll be there for you. Steals and blocks (referred to in this category as "stocks") are simply too random an occurrence to be counted on in daily fantasy. Only consider stocks potential when deciding between two players of similar salary and skill set. 5. There are always bargains to be had. The NBA season is a war of attrition, with few players actually suiting up for all 82 games. Injuries are rampant - and those starter absences open the door for bench players to contribute. In many cases, these bench players are priced at or near the minimum - particularly when roster changes are made the day of the game. Pay close attention to the injury picture and select low-priced bench players who suddenly have huge upside. 6. Not all bargains are worth pursuing. There's nothing more exciting than believing you've locked in a great injury replacement at a bargain-basement salary. But not every substitute is a good daily fantasy option. Their success depends on a number of factors, including whether or not they'll actually see a healthy amount of playing time and where they fit into the offensive scheme. Sometimes subs-turned-starters are just warm bodies, and it's your responsibility to identify - and fade - these examples. 7. Minutes matter most. Basketball is a sport of counting numbers - and the longer a player spends on the court, the greater his contribution in the daily fantasy sphere. Look to compile as many minutes as you can each night, and you'll always give yourself a shot at taking down a big tournament. Again, not all minutes are created equal - so focus on players who are expected to contribute in at least two categories during their time on the court. 8. Pick on the weak. 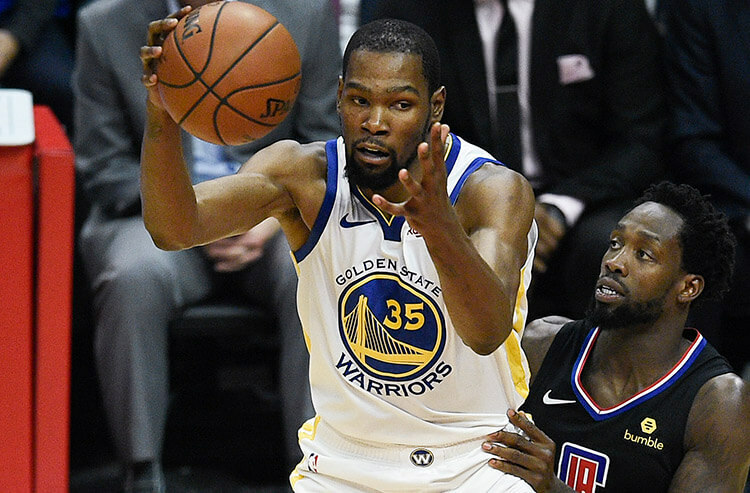 Instinctively, daily fantasy players target players on teams with high-powered offenses - and while there's certainly nothing wrong with that approach, it only represents 50 percent of the equation. You can make just as much progress with your lineup building if you identify poor defensive teams and target players on the opposing team. Not only is this another way to maximize point potential, it also helps you key in on players that aren't likely to be as highly owned. 9. Head to the bench for contrarian picks. If you're looking to pivot on a position or two in order to potentially gain an edge in large-field tournaments, your best bet is to roster one or more reserve players. Few daily fantasy competitors have the stomach to even consider bench options - and that's what makes them such solid contrarian plays. Only a handful of second-unit players are worth picking, but choosing the right ones will give you an enormous advantage. 10. Watch your roster go live. Lineup changes can happen right up until tip-off - so if you're able to, you should make sure your roster is fully and completely healthy right up to the roster lock. Obviously that isn't always possible, so if you can't check in at 7 pm, you should do your best to select players who are at low risk to be replaced in the starting lineup. There are few feelings worse than thinking you've built a juggernaut, only to find out that your star center was injured in warmups - and you didn't replace him.